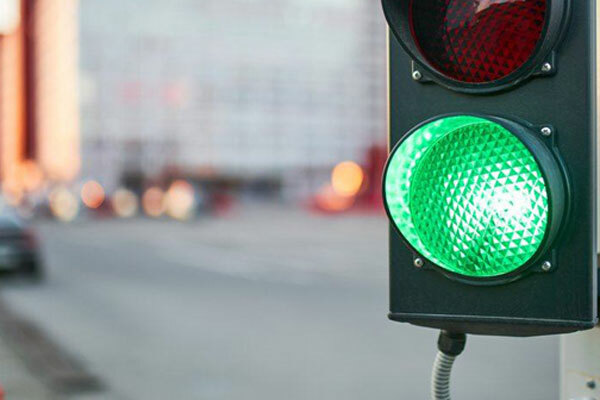 Bahrain is planning to introduce the flashing green signals at some of the country's major intersections as part of its efforts to boost the safety of motorists and prevent accidents, said a BNA report. The Ministry of Works, Municipalities and Urban Planning, in co-ordination with the General Directorate of Traffic of Ministry of Interior, will be conducting a trial on selected traffic signals, by adding flashing green before the end of green signals on main roads starting from tomorrow (February 8), it stated. "The proposed system will involve adding a flashing green light for 3 seconds at the end of the actual green light and before start of Amber light and Red light," explained Roads Planning and Design Director at the Ministry of Works, Municipalities and Urban Planning Kadhim Abdul Latif. "This is mainly to give additional warning to drivers to slow down and safely stop before the light turn to Red. This small, but vital move, is expected to enhance the safety and minimize accidents, he added. On trial basis, the system has been set up at two intersections of Al Fateh Highway/Sheikh Daij Avenue at Capital Governorate and Wali Al Ahed Highway/BDF Hospital at Southern Governorate, revealed Latif. The performance of this modification will be monitored and evaluated over a period of time and if found to be of beneficial, will be incorporated on other traffic signals installation within the kingdom, he added.